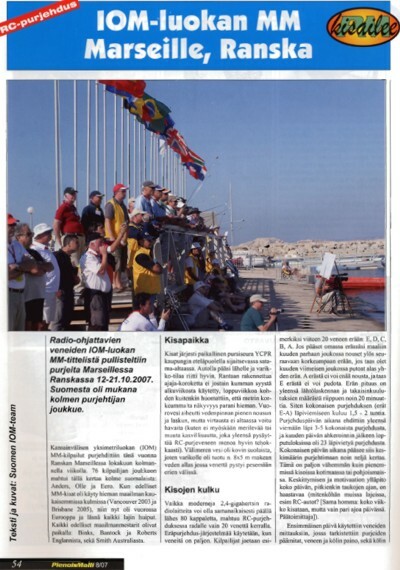 I wrote a short report from the Marseilles IOM-Worlds which appears in the latest issue of Pienoismalli. 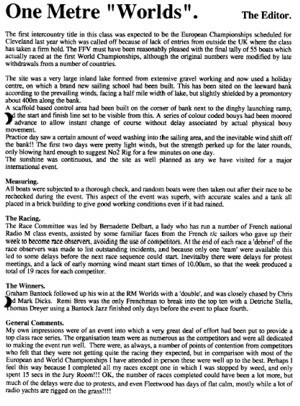 Mike Kemp offers another report from the 1994 IOM Worlds. 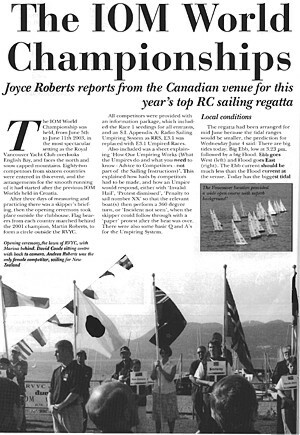 Joyce Roberts writes about the 2003 IOM Worlds in Vancouver. 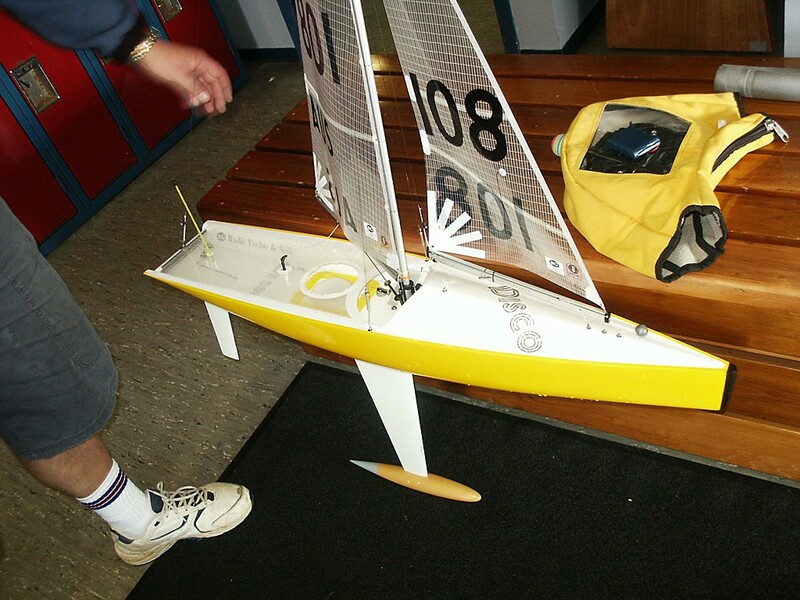 Published with permission from Marine Modeling International. 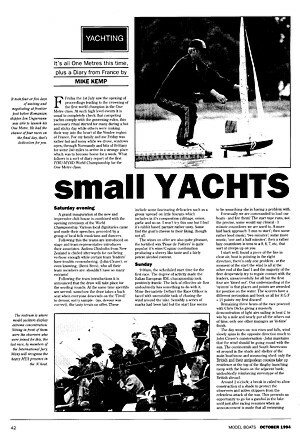 Chris Jackson reports from the 1994 IOM worlds. 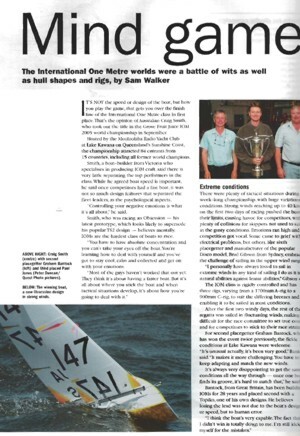 Published with permission from Radio Yachting News. 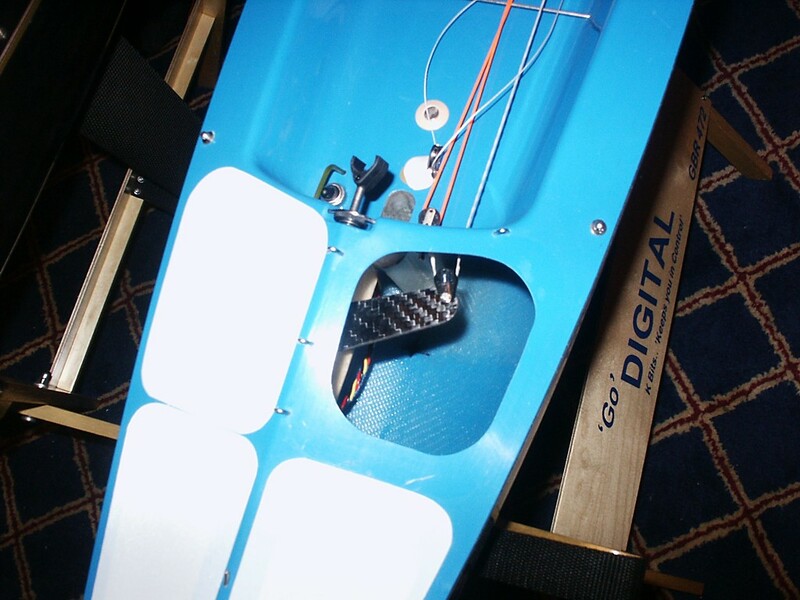 A report from the event. My boat is featured 😉 ! 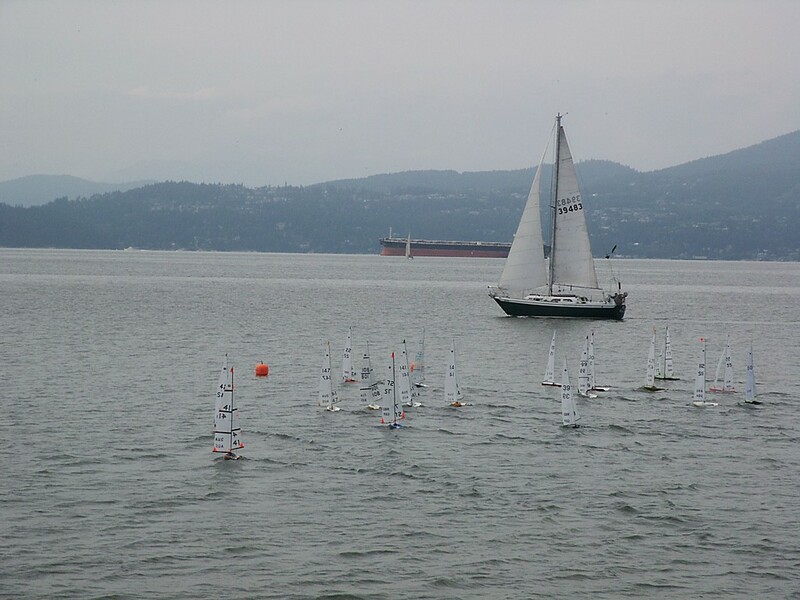 IOM Worlds 2003, Vancouver, Canada. 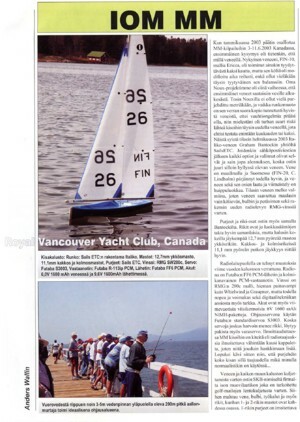 Anders Wallin reports in Pienoismalli from the 2003 IOM World Championships in Vancouver, Canada. Click image for pdf (<1 Mb). 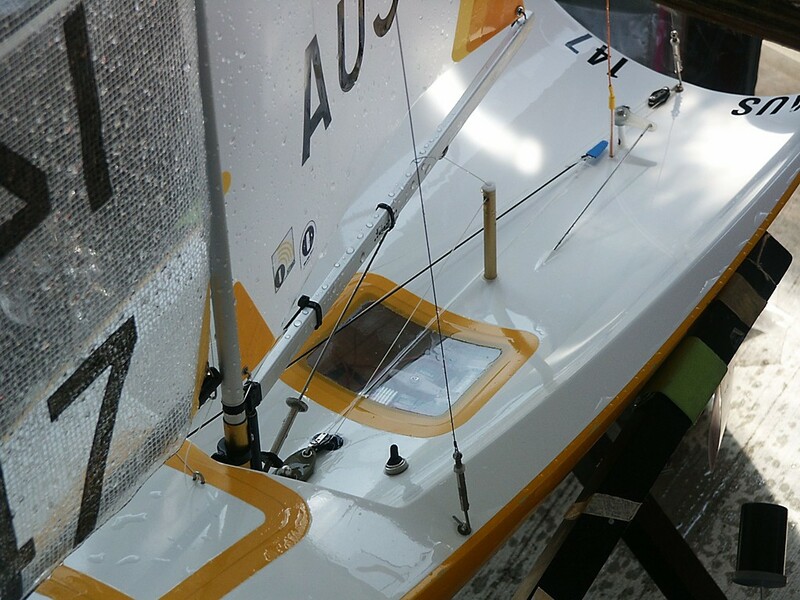 Using Frappr, Frank Vella has created an online interactive map for all IOM sailors. Better late than never - some of my own pictures and comments from the event. 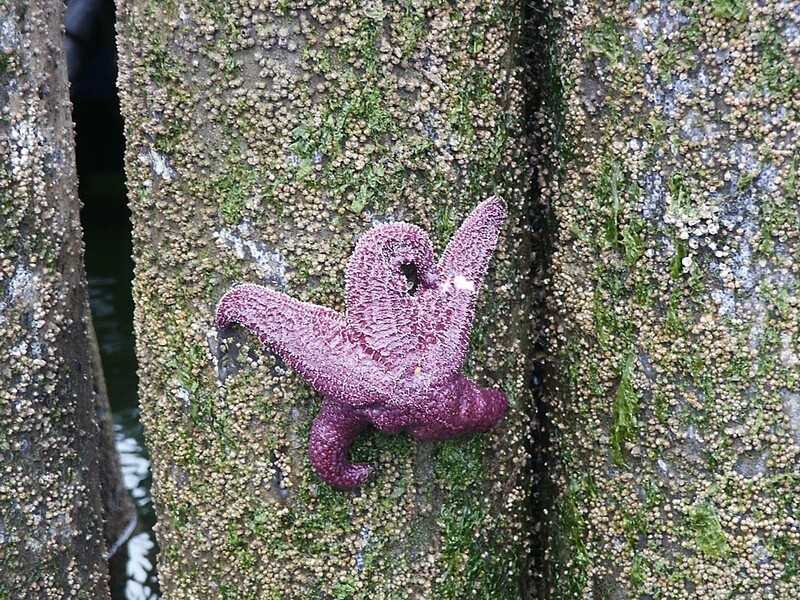 Click images for high-resolution jpegs. 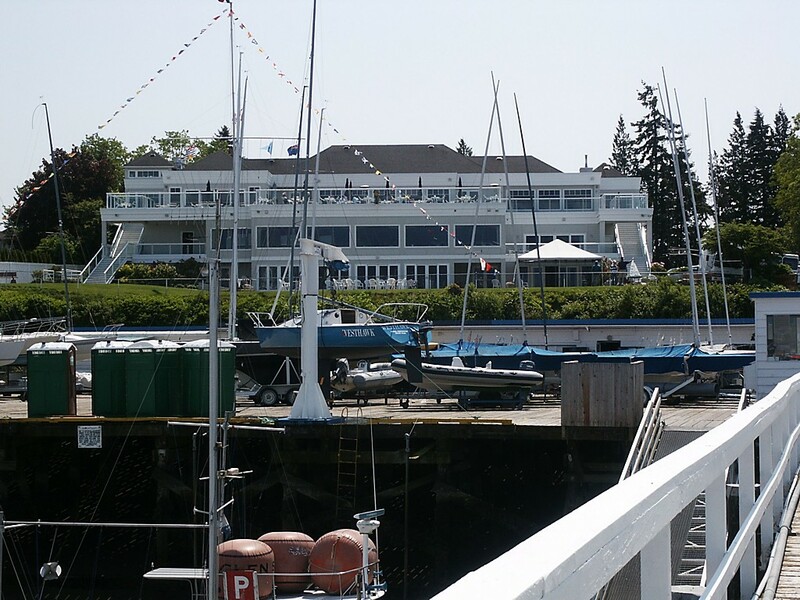 Royal Vancouver Yacht Club hosted the 2003 IOM World Championships. 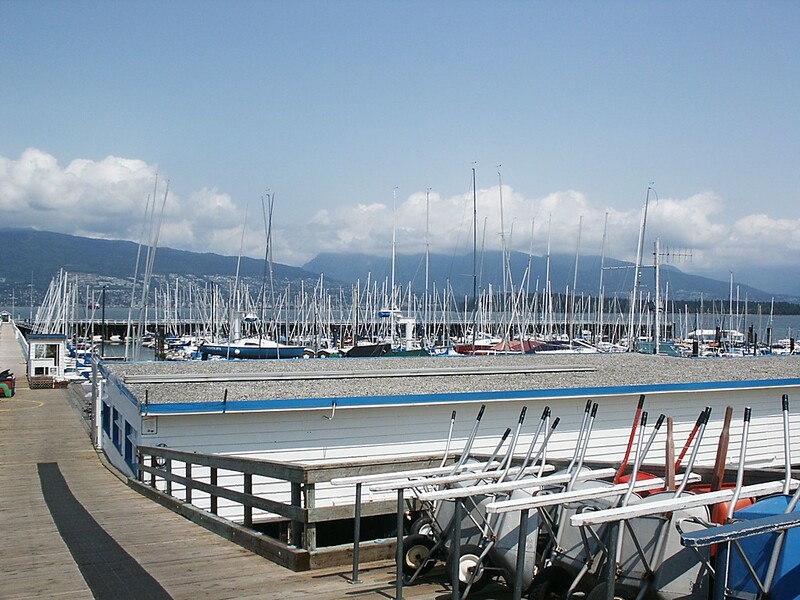 A view of the marina. 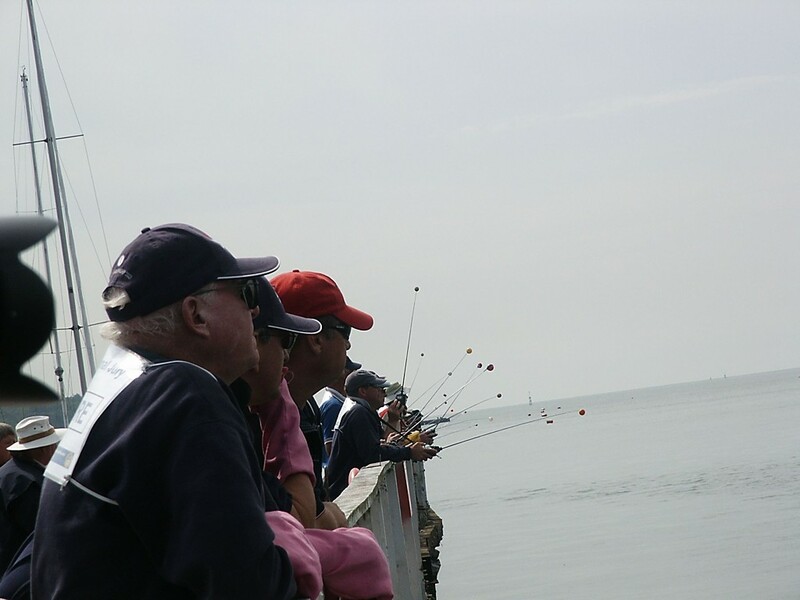 We sailed outside the high breakwater in the background. 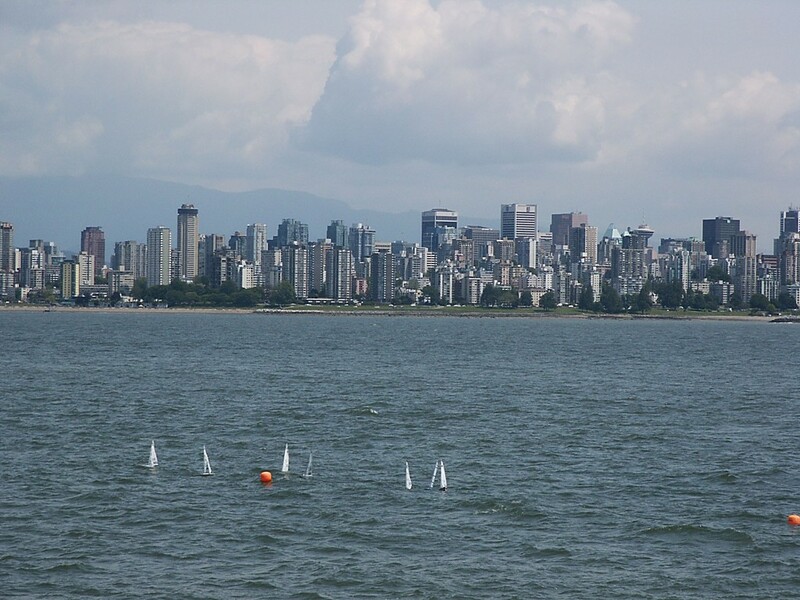 Practice sailing on day 1 with downtown Vancouver in the background. 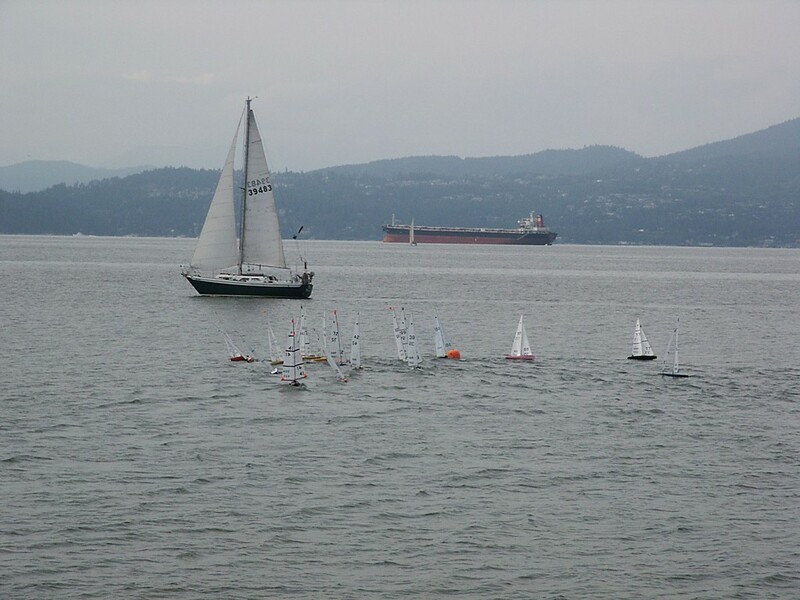 Notice how tiny the IOMs look with a small ring when viewed from the breakwater! 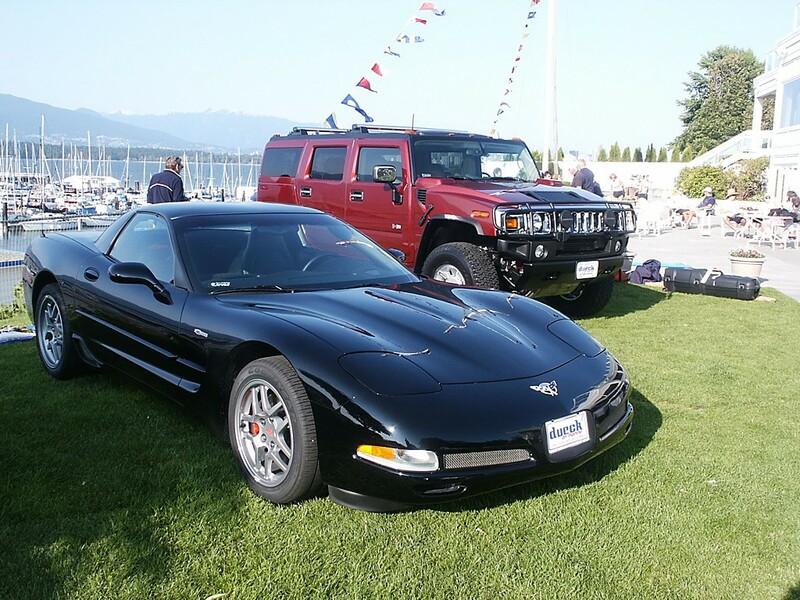 The event sponsor had some nice cars on display parked just outside the yacht club! Slim-chance, a UK design I had not seen before. 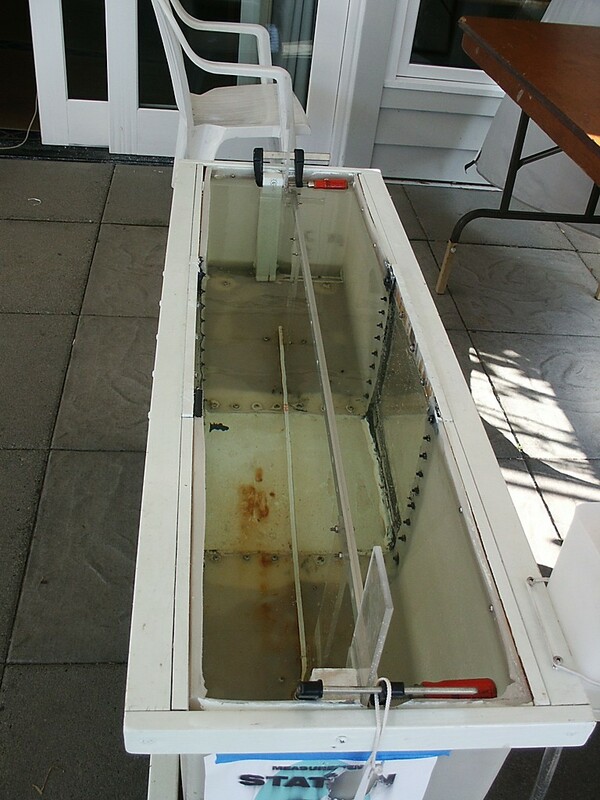 The measurement tank, with vertical bars for checking LOA, and horizontal bars for checking overall depth and hull depth. 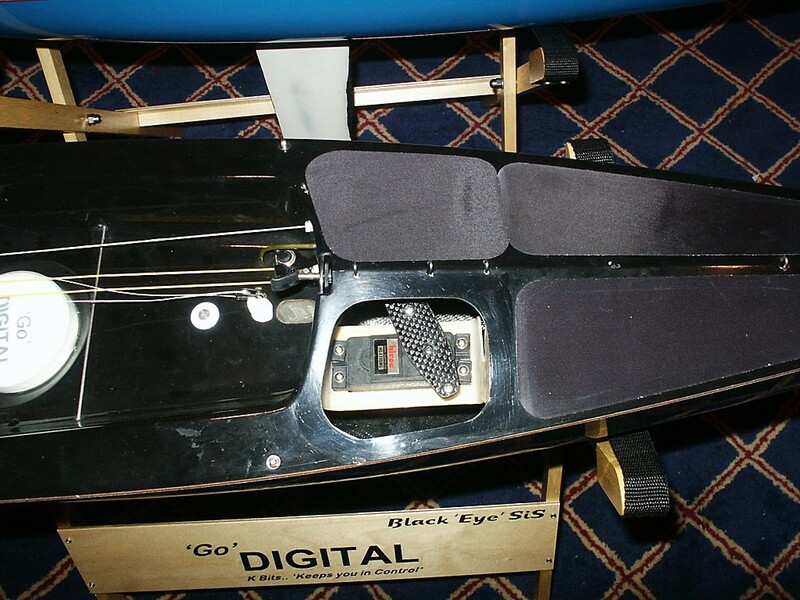 During sailing we could store our boats in a tent on a pontoon at the end of the breakwater. 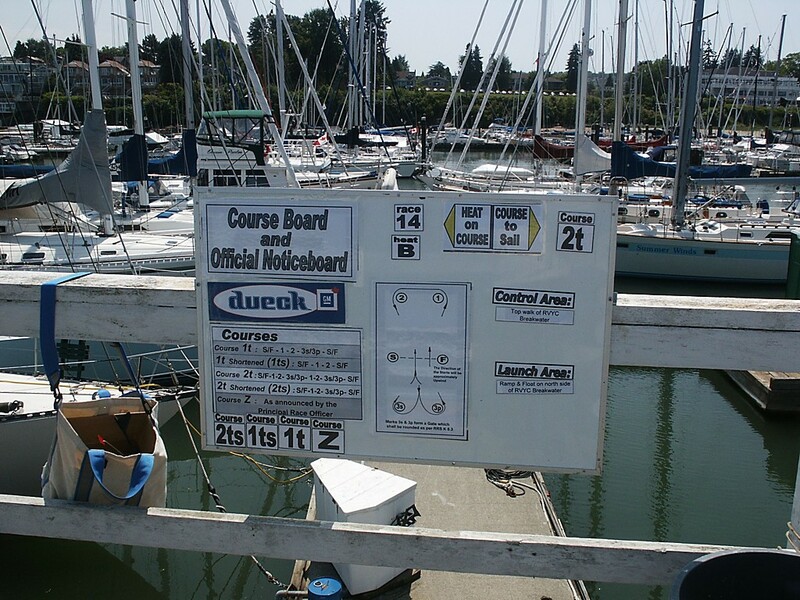 The courseboard described the course and what heat was currently sailing. 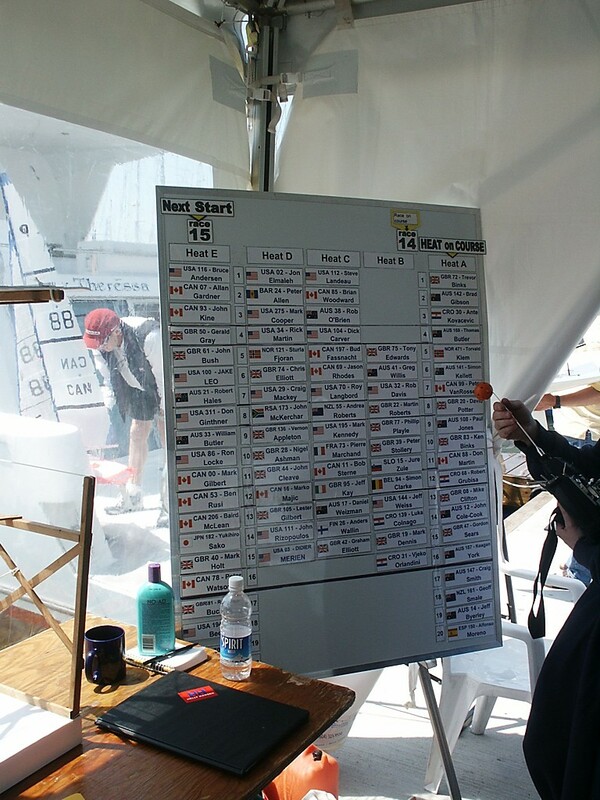 At big events a heat-board like this is mandatory - it allows competitors and organizers to check in which heat a skipper is sailing. Some judges. Note the 'umpire-red' glove! 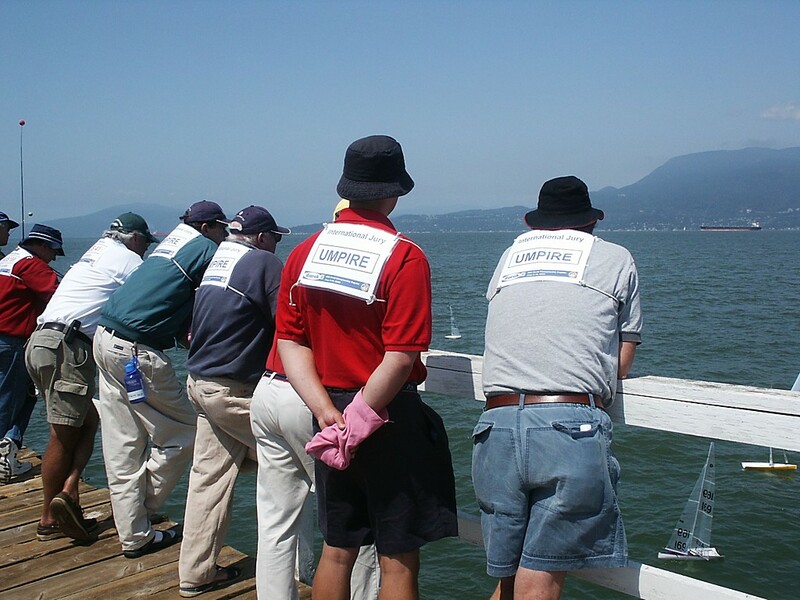 On the water judging worked really well at this event - partly I think due to the great visibility from the breakwater: both competitors and judges always had a clear view of what was going on. So more elevated control areas for international events please! 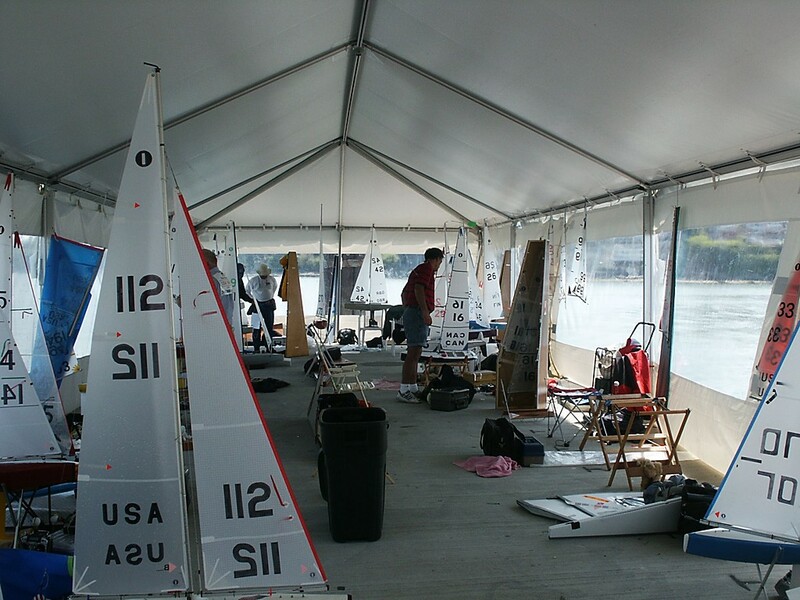 A view from inside the boat-storage tent. 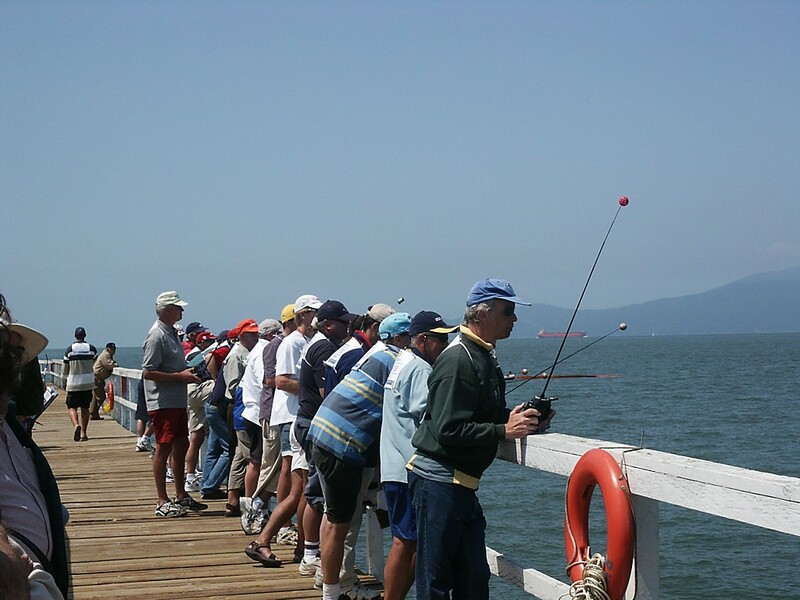 and here we see the leaders have already rounded. and here's the other side. 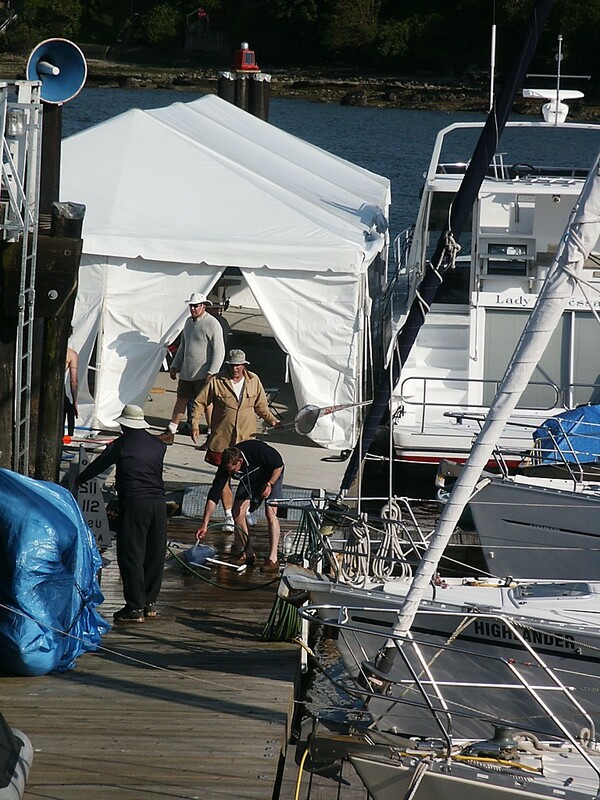 This is Trevor Binks' boat, he won the event. I wrote a report for Pienoismalli from the event. 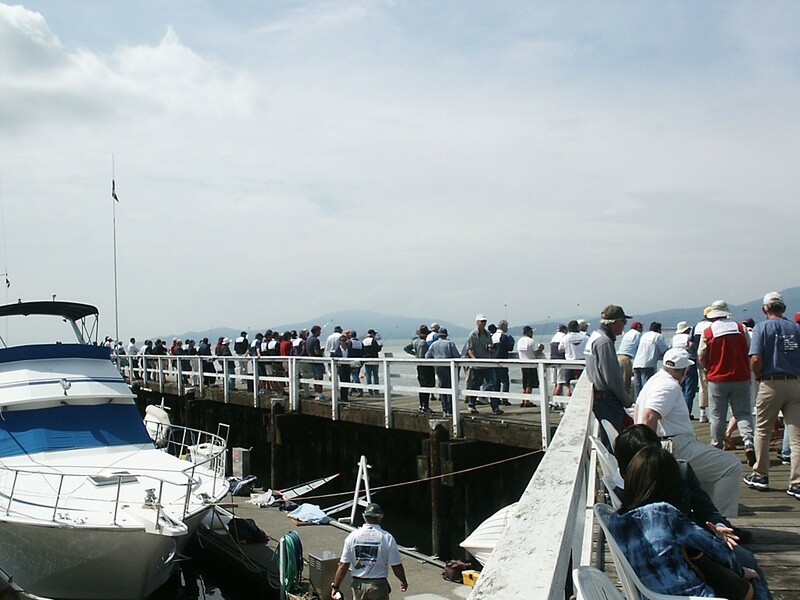 Royal Vancouver Yacht Club event homepage.